The Toyota Camry comes in for an awful lot of criticism for a car that sells more than 400,000 units most years. Typically fighting for the #1 car (re: not truck) spot, at least in America, the Camry is the definition of automotive ubiquity. That’s a complicated question. There’s a whole lot of Toyota’s world-class reputation for reliability, safety, and value wrapped up in the answer. 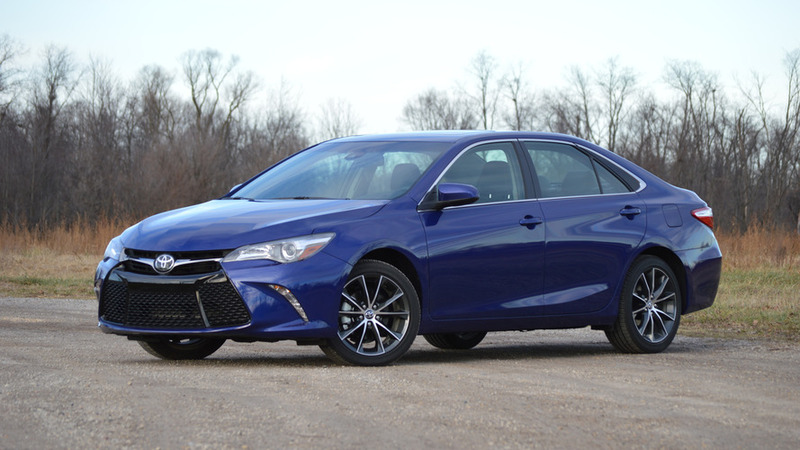 But even on it’s own merits, a kind of mid-level Camry like the XSE model you see here – XSE being the closest thing the model has to a “sport” variant – presents very solidly after a week of testing. So many of the top-selling cars have gone to turbocharged powertrains, that its easy to forget how capable a traditional setup can be. 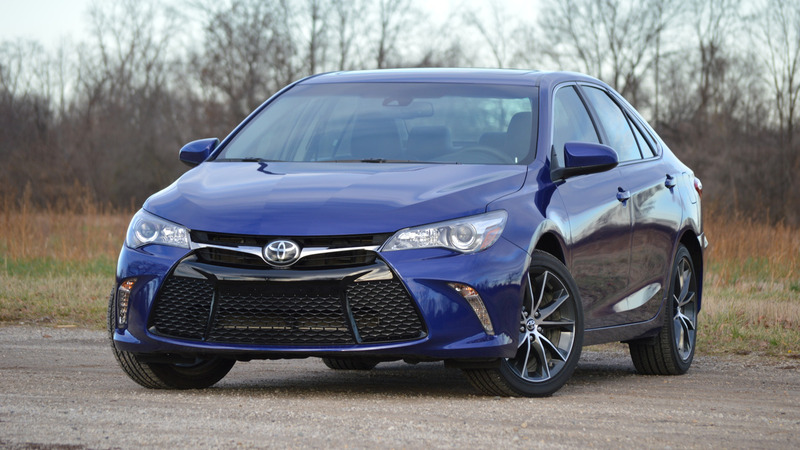 In Camry’s case, the naturally aspirated 2.5-liter four, hooked up to a six-speed automatic, still pulls its own weight. Some 178 horsepower and 170 pound-feet of torque give the car smooth acceleration and good highway manners. The Toyota delivers a respectable 35 miles per gallon highway, 28 in the city, and those numbers are achievable in the real world. Even on the optional 18-inch wheels, the Camry nails the trifecta of daily drive-ability: quiet, smooth, and painless. Steering effort is low at parking lot speeds; suspension offers a placid experience even on bad Michigan paving; and at 70 miles per hour the cabin is awfully calm. Residual values for Camry are still excellent. Those that buy and own for three to five years should take note. 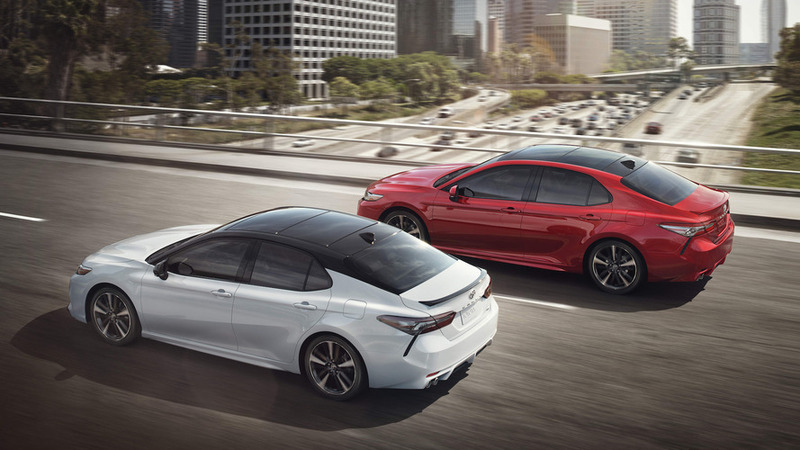 There’s nothing exciting or original about Camry ownership. In the same segment, for roughly the same price, Mazda will sell you a Mazda6 that’s a lot more fun to drive, Chevy’s new Malibu is more luxurious with better tech, and Subaru’s Legacy has billygoat-approved all-wheel-drive. Design, inside and out, is pretty run of the mill. There are some terrific looking cars in this segment today – Mazda6 and Ford Fusion probably leading the pack – and the Camry really only distinguishes itself from, well, older Camrys. Interior fit and finish has gotten so good across the board that typical Toyota excellence here is less of a trump card. One more note about resale value: good as the Camry is, for the last few years the Subaru Legacy has been better.